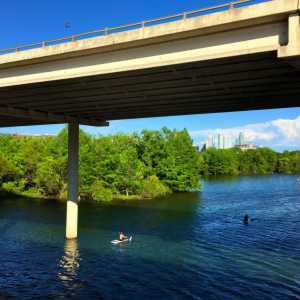 Whether your idea of a vacation is camping with the family, roughing it in the back-country or finding a space for the RV alongside one of the Hill Country’s many waterways, the Austin area has an abundance of places to stay. Explore and book at our many nearby county and state parks and private outfits. Just outside the city lies thousands of acres of untamed wilderness perfect for setting up camp with your favorite folks. 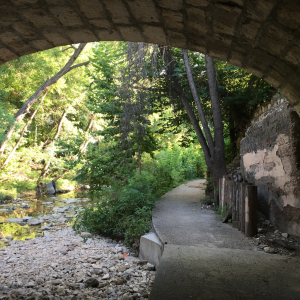 Emma Long Metropolitan Park is a 25-minute drive from downtown Austin, but it’s still inside of city limits—making it one of very few places folks can camp within the city. 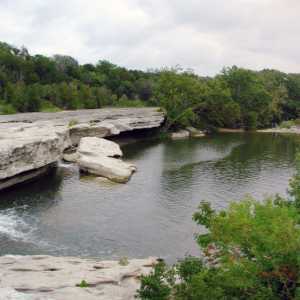 Understated and rugged, McKinney Falls State Park is an excellent destination to hike, bike, fish and swim. Fireflies, campfires and scenic Onion Creek round out the destination. Pedernales Falls State Park is a local favorite for camping, providing an opportunity for short hikes, backcountry hikes, and countless swimming areas with the Pedernales River flowing through the park. Less than an hour from Austin is Pace Bend Park, offering a relaxing backdrop among limestone cliffs and reflective Lake Travis. Spend the day on the water boating or fishing. Muleshoe Bend Recreation Area sits alongside a remote section of Lake Travis. Particularly beautiful in the springtime when the bluebonnets are in proud display, the 540-acre park is open year-round for camping, too. Explore our choices below and begin planning your Austin trip today! 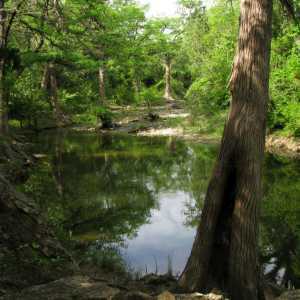 Check out Hipcamp.com to discover and book Austin area camping, or RoverPass.com for more RV parks and campgrounds.